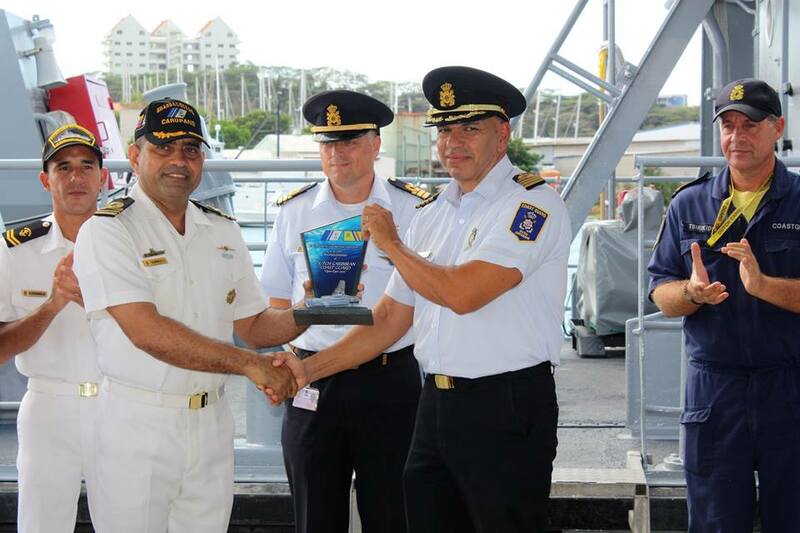 THE HAGUE, WILLEMSTAD - The annual joint naval exercise between the Bolivarian Coast Guard of Venezuela and the Caribbean Coast Guard of the Kingdom of the Netherlands, known as Open Eyes 2017, took place from the 23rd to the 26th of October in the maritime area of Aruba, Bonaire and Curaçao. The main purpose of this naval exercise is to strengthen working relations between the Venezuelan Coast Guard and the Netherlands Coast Guard. Also, Open Eyes brings opportunities for mutual learning experiences on various procedures used by each Coast Guard under different circumstances. This year naval and flight units of both coast guards trained on search and rescue operations. In addition, the Centre for Rescue and Coordination of Curaçao participated in these exercises by performing important roles. As a closing event, participants of "Open Eyes 2017" exchanged presents from each country and engaged in a social activity at Daaibooi Beach in Curaçao. "Open Eyes 2017" is a clear example of the high level of cooperation conducted by both countries, Venezuelan and the Netherlands, in order to jointly contribute to peace and stability in the Caribbean region, thus strengthening constructive bilateral relations.